This week, I interviewed Barbara Jacques, founder of Jacq's Organics, an all-natural apothecary created with families in mind. It was so much fun to hear her take on why natural beauty products are the way to go. Be sure to check in TUESDAY on the Holistic Spaces Facebook for a special giveaway from Holistic Spaces + Jacq's Organics! AC: Tell me about your story starting Jacq's Organics. BJ: In 2011, I was inspired to begin my research on all-natural bath and skincare after my husband and I learned I had an ovarian tumor during my pregnancy. I became obsessed with learning about my tumor, baby bath products, preservatives and ingredients. At the time, the majority of the products available on the market contained the toxic ingredients I was trying to avoid, especially in baby care products. Frustrated, disappointed and irritated with what was available, I started researching; formulating and creating my own bath products for my family. After the birth of my daughter, we launched Jacq’s Organics in the spring of 2012. What are 3 ingredients to watch out for in our beauty products? Mineral oil - it's a byproduct from crude oil/petroleum - it clog pores, coats skin like a plastic bag and interferes with skin’s ability to eliminate toxins. DEA (diethanolamine), MEA (Monoethanolamine) & TEA (triethanolamine): You can find these in many beauty products. Studies show that these ingredients, used as a preservative, cause irritation, and headaches. They're hormone-disrupting chemicals and linked to liver and kidney cancer. Sodium Lauryl Sulfate (SLS) & Sodium Laureth Sulfate (SLES): This preservative is used in many cleansing products including dishwashing detergents, degreasers, bath, hair and beauty products. It's been linked to breaking down your skin's immune system and more. What are 3 simple tips for readers who want to go organic with their beauty products? My first tip for readers looking to go organic with their beauty products is to start with your food. The best way to go green with beauty is from the inside out. I strongly believe that beauty radiates from the inside out, and what you eat is just as important as what you put on your skin. The rest will follow. My second tip for readers looking to go organic with their beauty products is to Keep it Simple. On our blog, we published an article discussing the stages of going organic with your beauty products called What Shade of Green Are You? We elaborate in detail on the simple steps you can take when switching beauty products. We talk about the different stages, including light green for beginners, medium green for intermediate and dark green for individuals that are well versed on ingredients, beauty products and more. As a beginner, shop products that you are able to read the ingredients, and experiment with D.I.Y. facials and scrubs using ingredients from your pantry. My third tip is to arm yourself with tools and resources. My two favorite books for beginners include Eat Pretty Nutrition for Beauty, Inside and Out by Jolene Hart and Holistic Beauty from Inside Out by Julie Gabriel. Both books are jammed pack with information on food, nutrition, skin care, ingredients and even recipes. There are so many resources available online, like the Environmental Working Group, www.ewg.org, that work to keep consumers in the know about food, household and beauty products and more. They send out articles on ingredients, laws, environmental changes and more. It's an amazing resource. There's also a cosmetic database compiled with a list of hundreds, if not thousands, of products ranks from 0 to 10 based on their ingredients, so consumers are aware of which ones to stay away from. What's your favorite product from Jacq's Organics? My favorite Jacq's Organics has to be our Carrot con Leche Cleansing Bar. It was created when a family member really needed a product to help combat breakouts. It's made with fresh, organic carrot that we grate and mash, and organic rice milk that we make in our studio. It's the only cleanser I use on my face and just love the soap bubbles and natural scent. 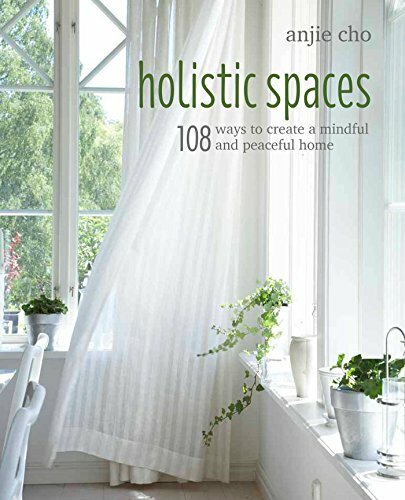 How have you created Holistic Spaces in your life? At home, I try to create a space that feels cozy, warm and inviting, which is extremely important with a toddler running and jumping around. I have throw sheets on every couch with soft pillows for jumping and throwing. Stackable wicker boxes as side tables for her toys and organization. We also have a couple of great abstract art pieces on our wall created by our little one. I really enjoy sitting on the floor with my little one. Makes for a perfect location for crafts, reading or cuddling. Come to think of it, our home is a combination of warm earth tones with pops of green, blue and yellow. My entire family suffers from allergies, so our home is filled with plants that help purify the air. The plants, for me, are relaxing but they also give me an opportunity to teach my daughter about plants. She loves watering the plants and asking questions about the different plants and herbs we have. I also use aromatherapy in our home. In the morning, I like to light our Le Soliel Candle. The citrus scent is refreshing and a great way to start the day. I also like to light palo santo and hand-made incense from Japan to help clear the air, and the scents are soothing and calming. If I've had a long day, I like to end the night with our La Lune candle. I've always been into Feng Shui, even more so during my college days. However, between home, work and juggling a family, trying to find a balance can sometimes feel unattainable. One way for me to create a holistic space is by avoiding clutter. This helps so much. When it comes to our home, I try to create an open, clean space that will allow room for more chi so the kiddo can run around and I can breathe and find balance. Barbara Jacques is a yogi, recovering beauty product junkie, Founder and Formulator at Jacq's Organics. With an uncanny drive to help and aide those in need, she has worked in the not-for-profit sector in Development at a well known national social and community based organizations. After years of juggling a full-time job and running Jacq’s Organics, an all-natural apothecary line created for a growing family, Barbara decided to take on the beauty industry full-time. The company’s mission is to be socially responsible and seek to promote and encourage healthy alternatives that everyone in your family can love and enjoy. She speaks on beauty, holistic health and enjoys all things beauty, volunteering, cooking, running, yoga, traveling and entertaining family and friends.